With a recent ruling, the Colombian Supreme Court has made Colombia the first country in South America to recognize the personhood rights of the Amazon Rainforest. The ruling is the conclusion to a campaign waged by twenty-five young people determined to force the Colombian government to better protect the invaluable Amazon Rainforest. “The fact that the Amazon was made a subject of rights? This is so huge,” Camila Bustos, one of the plaintiffs, told Earther. “It’s beautiful that the court decided on that.” In addition to granting personhood rights to the rainforest, the Court has also ordered Colombia to create a comprehensive plan within the next four months to address deforestation and climate change. The Court’s recent decision to grant personhood to the Amazon follows a 2016 ruling, in which the Court granted similar rights to the Atrato River. While this decision does not legally define the Amazon as “human,” it does grant certain inalienable rights to the magnificent rainforest. The ruling is unprecedented in its forceful assertion that the Amazon rainforest, like other natural resources, should be granted personhood because its survival is tied to the survival of future generations of Colombians and people around the world. The Amazon River, seen from above, as it winds its way through the massive rainforest. 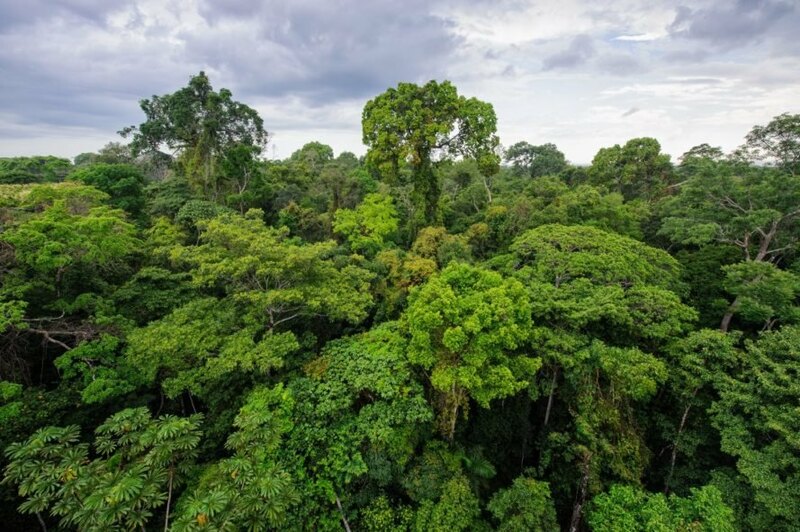 The Amazon Rainforest is now legally recognized as a person in Columbia.